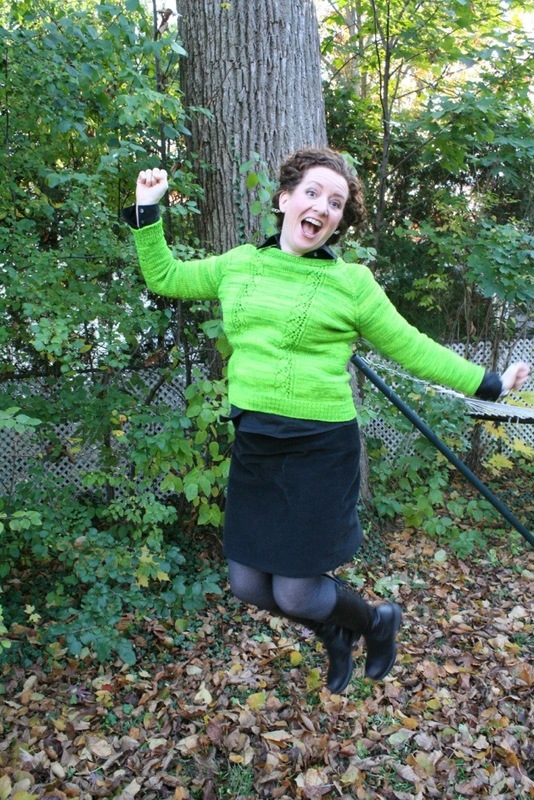 When I first bought the yarn (The Plucky Knitter Plucky Sweater in “Chlorophyll”) for my Cape Cod last April, I had in mind a sweater for cool spring/summer nights. The gorgeous lime green just screams “spring” to me, and I was imagining pairing it with a white cami, white capri pants, and sandals. I’m pretty happy with the combo. I’m pretty happy that corduroy-wearing/boot-wearing/sweater-wearing weather is here, too! 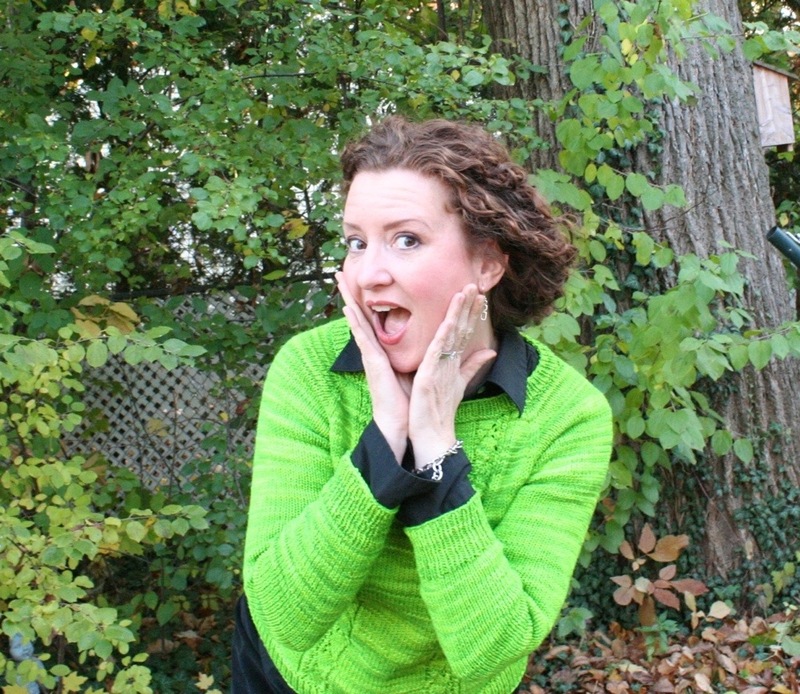 What else would you pair with a lime green sweater to make it appropriate for fall or winter? And how do you transition some of your favorite warm weather pieces into a more autumnal mode? Super~ I get the Wicked styling!! I do, too! Thank you! I’d try it with navy or rust. Cool ideas! I should look for some rust-colored cords! Wow, beautiful sweater! I love the color! I always want to pair green with purple although it might be challenging to find the right shade of purple for that particular shade of green. But not matter what you wear it with, that sweater is going to stand out and be noticed! Ooh, love the idea of purple! Purple and green is a great combination. Thanks for your nice words about the sweater! I love how you put it all together! I’ve also noticed people putting brown with that shade of green quite a bit. I think someone already said it though…no matter what you put it with, that sweater is going to stand out. It’s beautiful!! I’m very late replying to this – I somehow missed it. Thank you for your nice words about my sweater! I love the idea of wearing it with brown. Love this outfit! The green really pops against the black. I think it would look cute styled casually with a plaid shirt and corduroy jeans or skirt.